A great soup that you'll want to make again and again! Lightly fry the leeks in butter for 5 minutes. Stir in the flour and cook for 3 minutes. Add the chicken stock, cover and simmer for 15 minutes. Liquidise the soup, being careful to cover while mixing to avoid hot splashes. Return to the pan and add the milk. 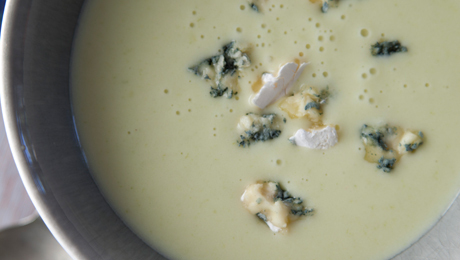 Cut the Wicklow Blue Brie into small cubes and add to the soup. Heat until the cheese has melted. Add the chopped dill and season to taste. Serve with crusty bread as a big-flavoured lunch.